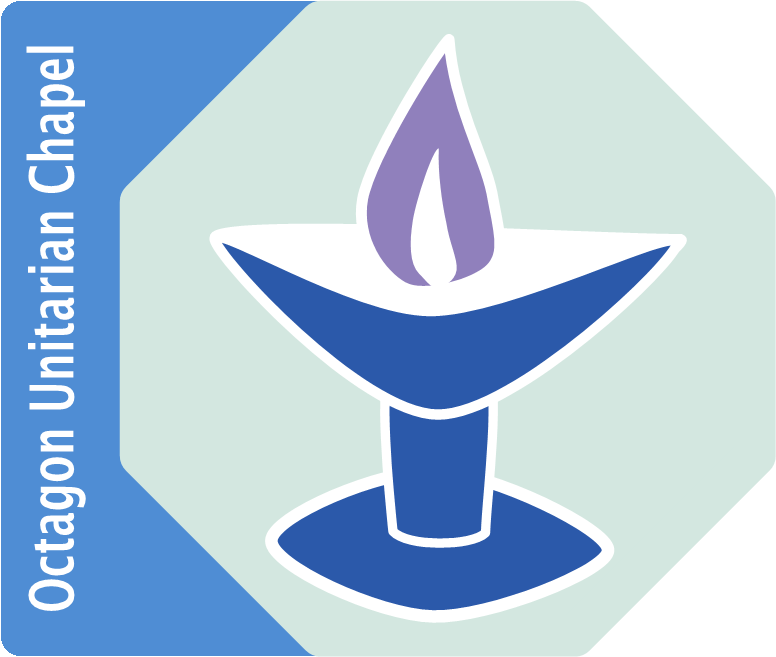 We warmly invite you to participate in Chalice Circles at The Octagon Unitarian Chapel. Recognising the Unitarian call to minister to each other and to the world, Chalice Circles provide a unique opportunity to engage in the spiritual practice of deep listening. The intimacy of these spiritual groups enriches the participants’ lives with greater depth of meaning. Chalice Circle practice complements our Sunday morning service. Chalice Circles meet twice a month for one to two hours. The format of the meetings helps participants set aside daily distractions, reflect on their lives and beliefs, and make meaningful connections with one another. Through sharing their wisdom, members leave each meeting with a deeper understanding of themselves and of each other. Each Chalice Circle becomes a small, personal community of listening and caring in the midst of a large congregation. Chalice circles generally run from October through May. While it is nice to start in at the beginning, you may join at any time! Many circles begin in October, while others start in January, depending on the availability of facilitators. Please contact us to get more information on signing up. A mutual ministry based on sharing our life experiences and lived wisdom is a spiritual practice that is uniquely Unitarian. We bear witness to each other’s worth and dignity. Why Join a Chalice Circle? Participate in a supportive, nurturing group setting that facilitates spiritual growth and mutual caring. Grow at your own pace and in your own way through authentic speaking, deep listening, reflecting, and serving. Explore your own values by articulating them in a supportive setting. Develop friendships with interesting people you might otherwise never get to know. A way to deepen our spirituality through a shared practice. A way to share our thoughts on life’s big questions. A way to connect across age, gender, ethnic, economic and other differences. A way to be engaged, included, and heard in a safe, nurturing environment. A way to bring together the newer and the longtime members in our community. A way to deepen our practice of shared Unitarian ideas. A way to practise service within a small community. A way to develop our connections with the rest of the congregation. A social club, although ties between church members deepen through Chalice Circles. A debating society , although many important topics are discussed. A support or therapy group, although the atmosphere is positive. A worship service, although the meetings and topics have a strong spiritual tone. A rigid template of activities, although there are general guidelines to follow. A closed club, although groups must be limited in size to be effective. Chalice Circles is a spiritual practice that creates a sacred space where we can tell the stories of our lives, be heard, and listen deeply to those of our companions. This is the heart of the Chalice Circle experience; all of the other parts of the format are designed to support this. It has four parts. The first is preparation to discuss the topic. At the end of each meeting the facilitator passes out the topic for the next meeting, expanded by a number of leading questions to help the participants focus their thoughts. This lead-time is important for a person’s thinking process to consider the most relevant experiences and to build the courage to speak their truth. The second part is the exercise of telling that story in a protected space to a group of people who are similarly vulnerable. This is a wonderful experience: to be listened to. Most participants don’t realise how rare this is and how much they want it until they experience it in a supportive setting. It is a feeling of being both known and valued. The third element of this experience is deep listening. This comes naturally to people who have practiced meditation, because they have trained themselves to empty their minds and listen to their breath, to be open to the sounds of the environment, to allow their own feelings and thoughts to dissolve and dissipate. This same attentiveness and egoless-ness is the hallmark of deeply listening to the experiences being narrated by fellow members of a Chalice Circle. It is a matter of standing out of the way so as to empathetically participate in the speaker’s experience. The result is a kaleidoscope of experiences around the topic of the meeting. The fourth element, and possibly the most transformative, is a second round of response or ‘awakening,’ which is exactly where the transformative power for building community within the chalice circle resides. In the first round, we learn to listen deeply; in the second round we learn to integrate our combined insights into a new more connected understanding of what forges a true spiritual life and community.